Roses ARE Forever! 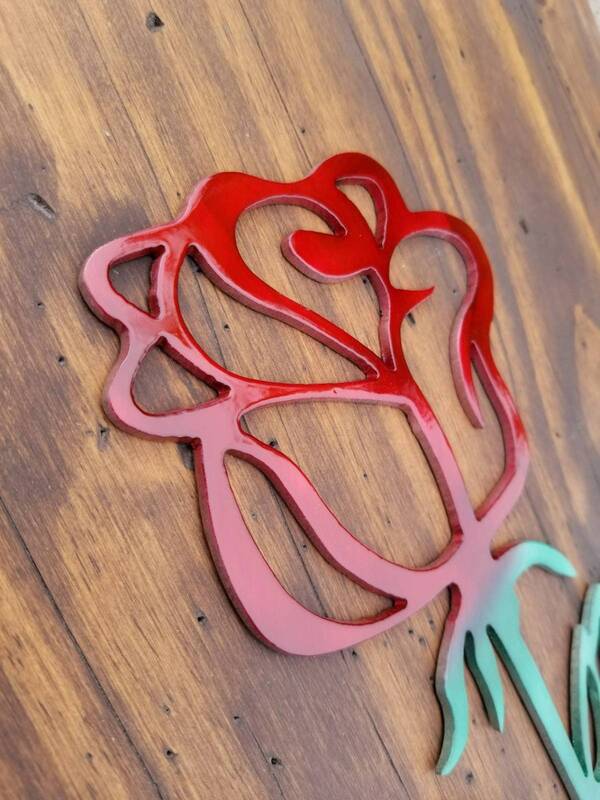 Our beautiful Everlasting Aluminum Metal Rose is a perfect Valentine's Day gift, engagement gift, wedding gift, mother's day gift, or birthday gift for the person who holds your heart. 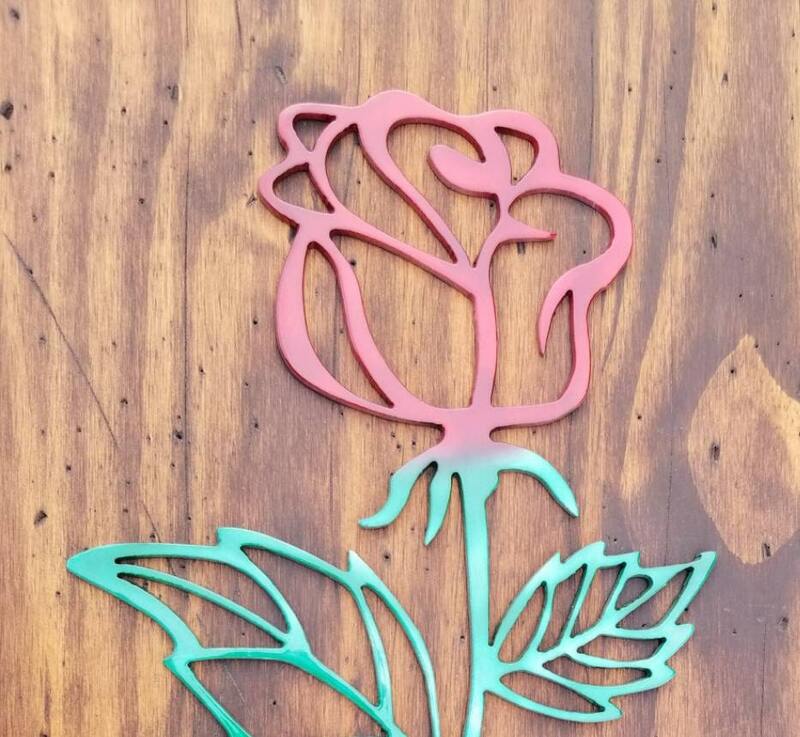 This rose is 16" tall and 9" wide. 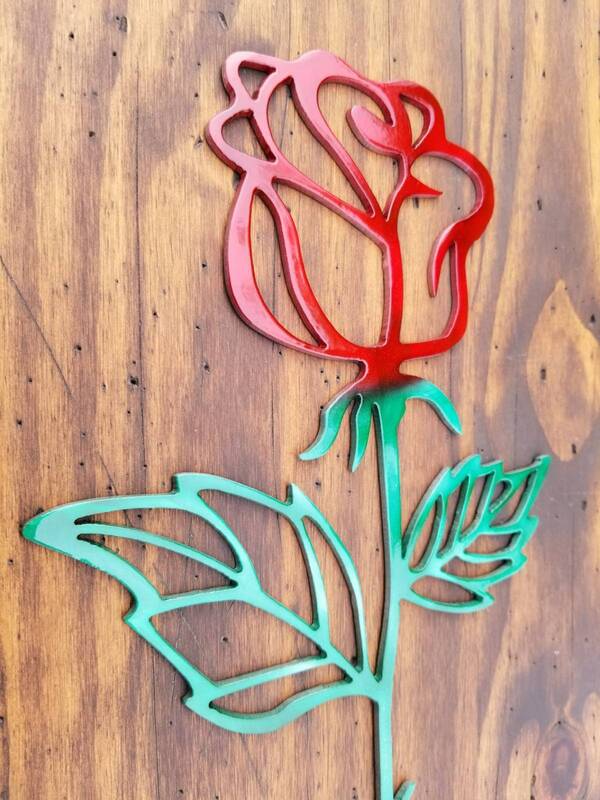 Plasma cut from 3/16 aluminum, our everlasting rose is then ground by hand to add depth and dimension to each piece. For those of us familiar with the salt air, we know what salt can do to steel over time. That's why we've created our metal decor using aluminum rather than steel. Aluminum reacts to the elements differently and is therefore not susceptible to rust. Additionally, aluminum is much more light weight than steel counterparts, putting less load on your walls. Although aluminum doesn't weigh as much, this does not speak to the durability of this metal. 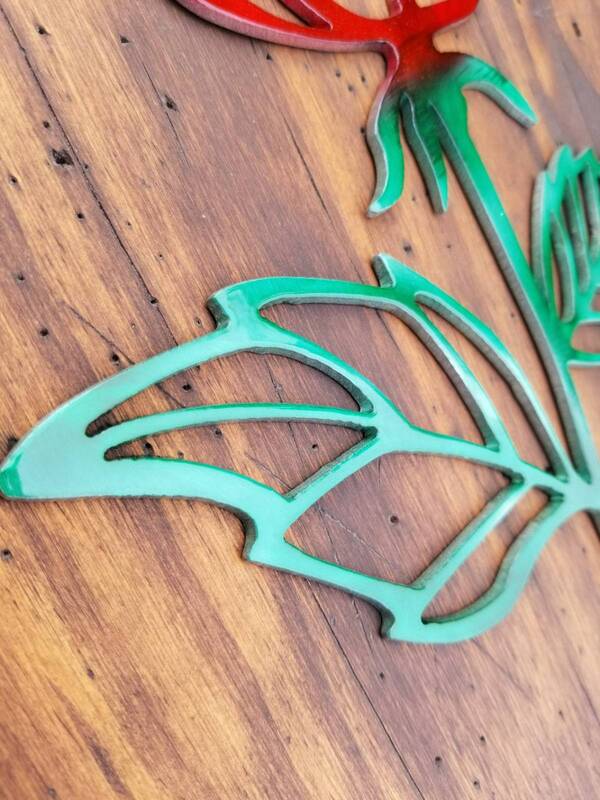 With no rusting, easy hanging ability, and long term durability, our aluminum metal home decor makes a perfect addition as indoor and outdoor home decor. 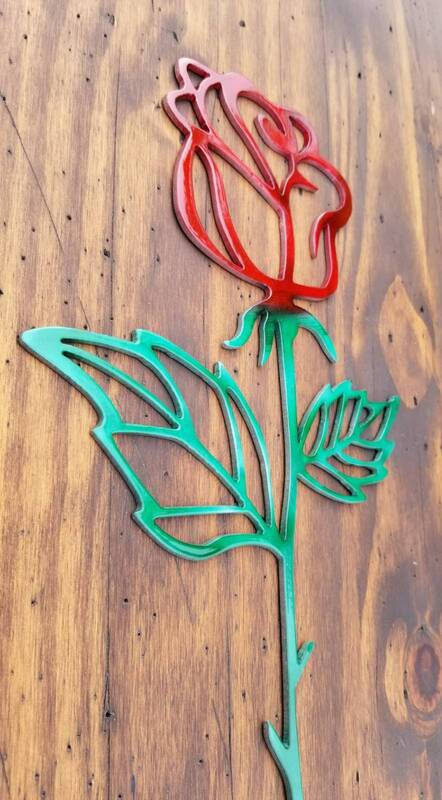 This metal rose is colored with a special dye that adheres to metal giving a translucent color. 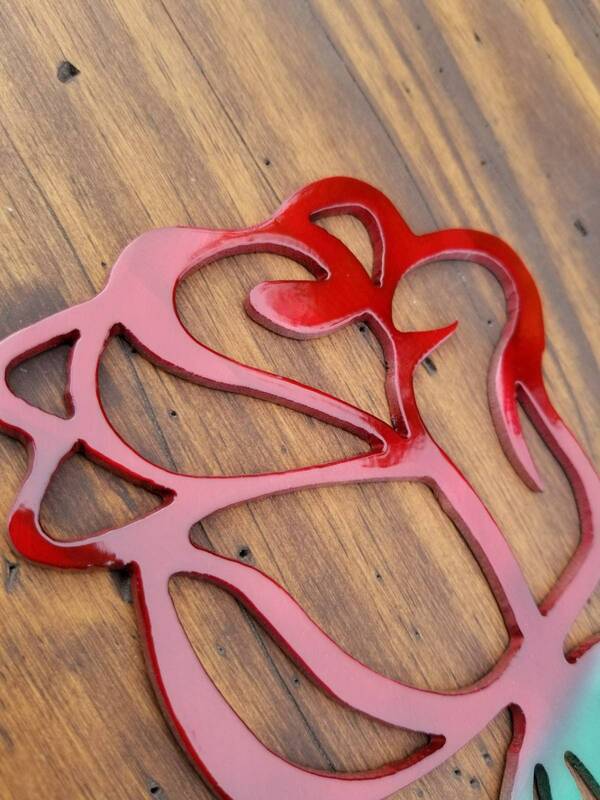 The aluminum is then powder coated to protect the surface of the aluminum and to give a shiny, beautiful finish. Powder coat is a thick, sturdy material used to protect outdoor furniture, machinery, even household appliances. 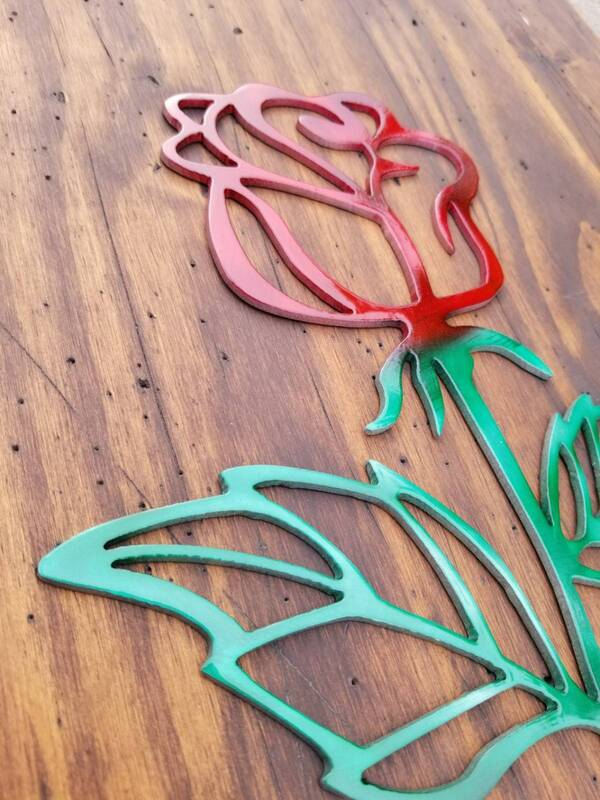 We find that powder coating offers more reliable protection for our pieces than paint. 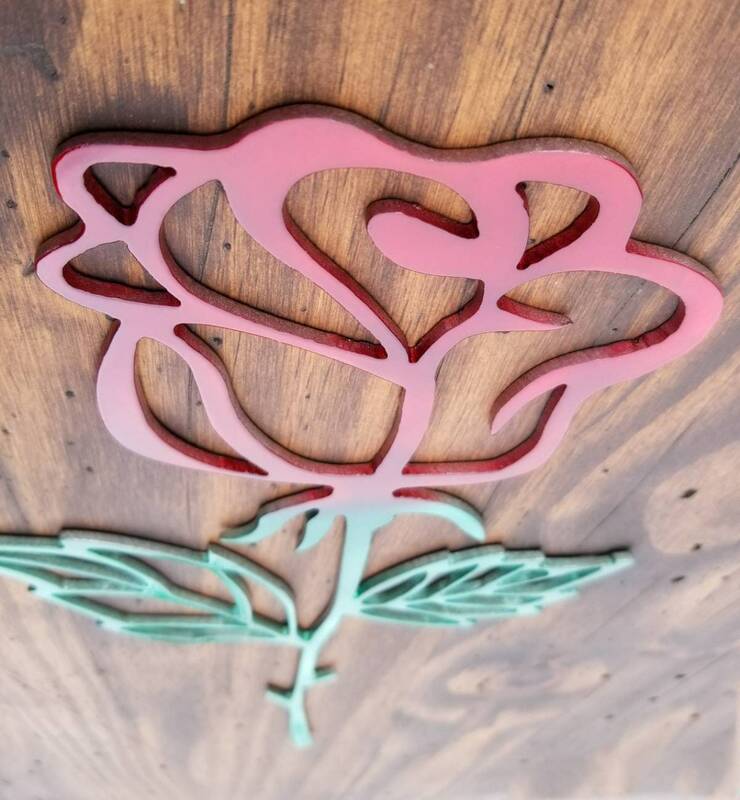 We love our roses and certainly hope you do as well!